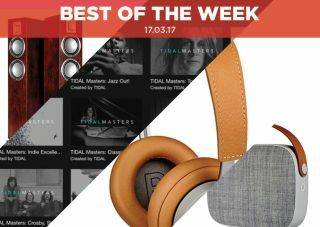 Best of the Week: Tidal Masters Playlists, Sonos/Denon lawsuit, B&O H6 Gen 2 review and more | What Hi-Fi? This week a headphone had the temerity to catch fire during an airplane flight, Sonos won a patent ruling in its lawsuit against Denon and Tidal updated its desktop app with access to its MQA/Masters Playlists. For reviews we have B&O's Play H6 Generation 2 headphones, Vifa's Helsinki wireless speaker and Audiovector's QR3 floorstander. A woman suffered burns and blisters after her headphones exploded on a flight from Beijing to Melbourne. The passenger was asleep when the battery malfunctioned, causing it to catch fire and melt. It was doused in water to stop the fire. It's reminiscent of Samsung's Note 7 fiasco and has led airport authorities to reiterate its recommendation about storing lithium-ion batteries on flights. Tidal has updated its desktop app, adding a dedicated section for its Masters Playlist. Tidal Masters refers to its Master Quality Authenticated (MQA) audio, a new method of digitally storing recorded music that's convenient to stream and download without trading for lesser sound quality. So far it is only available on Tidal's desktop app and not mobile versions. We first heard of Sonos's claim that Denon had infringed on a number of patents back in 2014 and Sonos has just won a partial judgement in the case. The lawsuit concerned 12 patents relating to control and operation of multi-room systems, which Sonos claimed Denon's HEOS system had infringed upon. Denon tried to get a number of patents in the suit removed, but their action was rejected, leaving the two companies to sort matters out in court later this year. "A combination of style, comfort and fine sound make these one of the better premium portable headphones around"
The Play H6 Gen 2 is another headphone from B&O and it's another opulent-looking effort. The looks wouldn't matter so much if the sound was sub-par, but thankfully it's not. Opting for a smooth, breezy sound, they're perfectly suited for listening at lower volumes. They lack the rhythmic drive heard in some rivals, but these are a good combination of style, comfort and fine sound, and shouldn't be overlooked. "It’s weighty and loud without being brash, and will comfortably handle your music"
At first glance, the Helsinki looks less a wireless speaker and more like a fashion accessory. With style to spare, the Helsinki doesn't just look good but sound good. For such a small speaker it can generate a surprising amount of force. Even though it's not the most agile and trips up in terms of dynamic expression, Vifa has succeeded in making a stylish speaker with good sound. "Entertaining and engaging, these are speakers that put drive and agility top of their hit list"
Audiovector has made a name for itself in producing upgradeable speakers, but that's not the case with the QR3. What you see is what you get, and what you get is an upfront, energetic and dynamic performance that produces an entertaining experience. However, the QR3s only know one speed and aren't the most comfortable with subtlety. If that's not a problem then the QR3s come recommended.